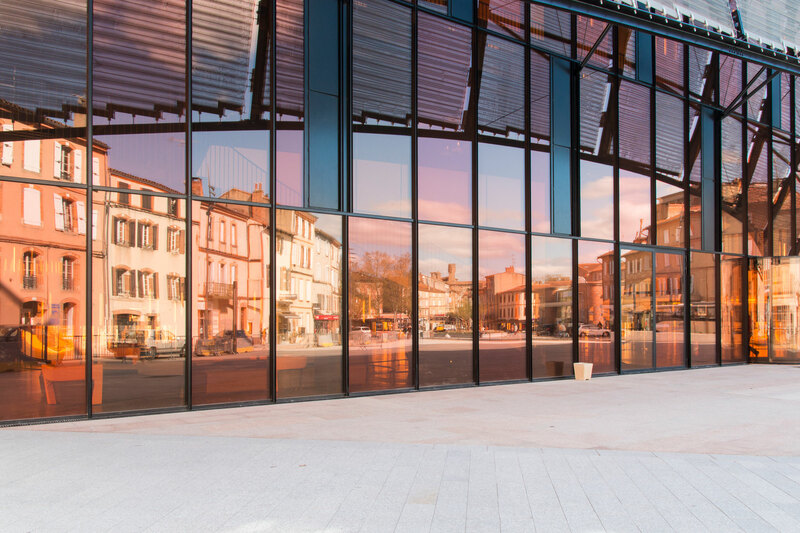 The Albi Grand Theater in France is an architectural marvel completed by acclaimed architect Dominique Perrault. Albi is a historic town with buildings dating back to the 13th century with signature red brick architectural style. These buildings were an influential component of the theater’s design meant to showcase a contemporary and modern interpretation of the city’s original style. 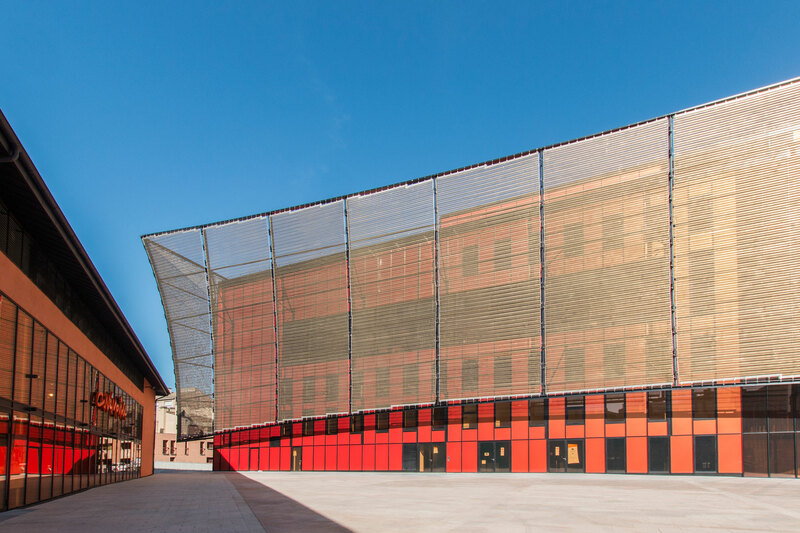 The equilateral form of the building is transformed with the materials chosen to envelop the façade as well as the distinctive metal cloaking material. 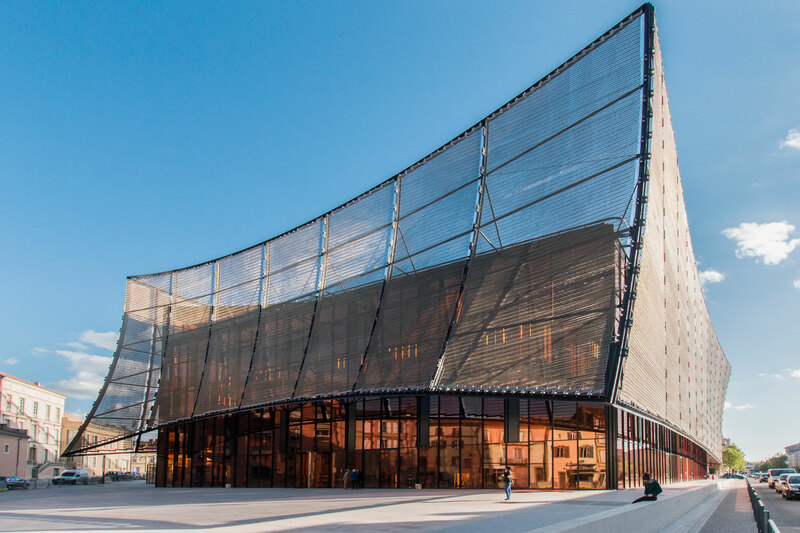 The theater is wrapped in a woven metal mesh that serves as a unique aesthetic element and also a sunshading functionality as well. 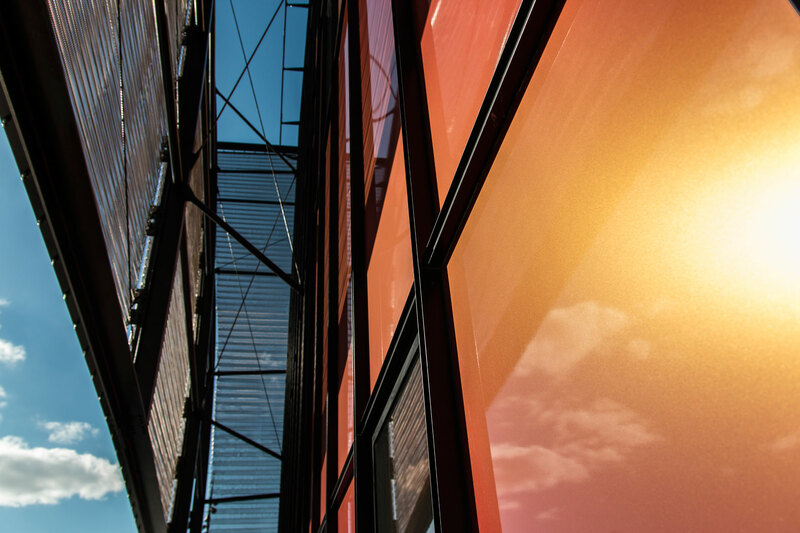 Under the woven cloak the building is enveloped in both warm colored glass and Alucobond aluminum composite material. The glass and the ACM were chosen to mimic the look of brick but offer more dynamism. The glass and the Alucobond Spectra Cupral material have the unique ability to interplay with light both artificial and natural. 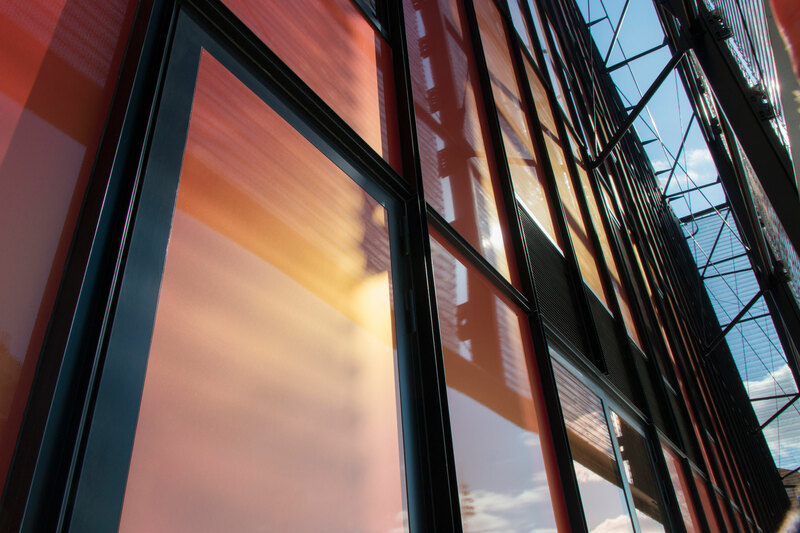 The exterior glass is semi-transparent offering orange hued views of the outside, while the ACM is opaque, allowing the building to be shielded from the sun on one side. 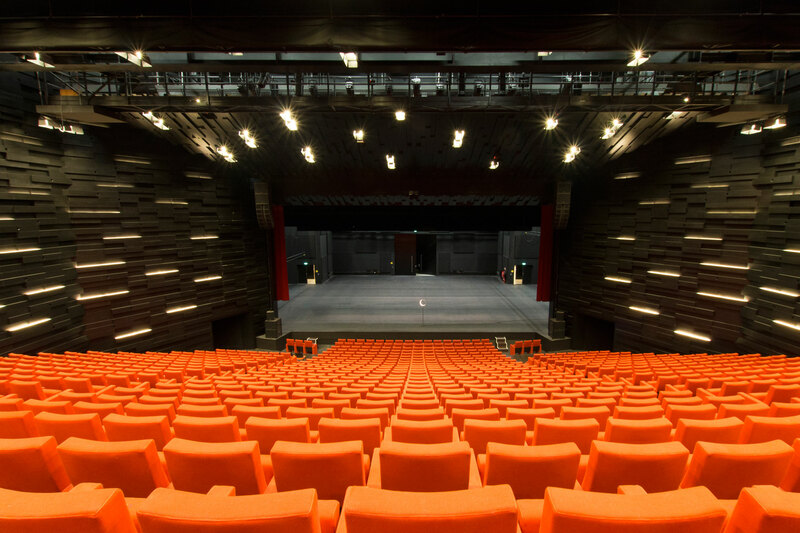 The interior of the theater is mostly minimalistic with accents meant to complement the exterior’s color scheme. The same reflective qualities of the ACM on the exterior flow within as the architects designed mirrored column covers, which add playfulness to the interior as well. As a cultural building the architects were required to create a building that offered an instantaneous appeal to passersby. Building within an established historic city, the architects took subtle cues from previous architectural styles to create something contemporary, innovative and one-of-a-kind.